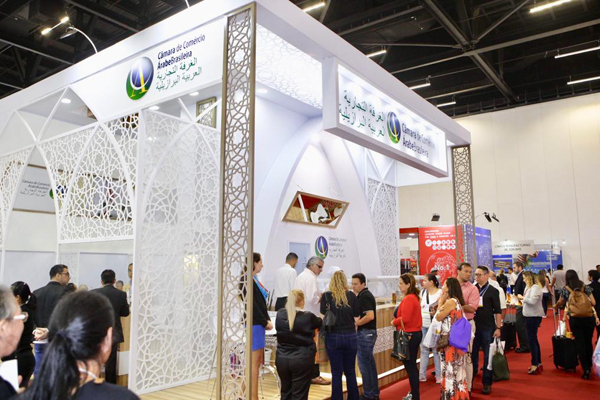 Leading food companies from the UAE, Saudi Arabia, Egypt, and Palestine joined the debut edition of Anufood Brazil, a food and beverage show, recently held in São Paulo, Brazil, which was organised by Arab Brazilian Chamber of Commerce (ABCC). The Arab companies showcased their high-quality food products as well as joined 50 other importers from various nations that were scheduled to meet with key exhibitors during the show, said a statement from the organisation. Retail food store chain Dukan from Saudi Arabia was among the Arab participants as well as Green Hill Trading, which sells beef and poultry, and Number 8, an export-import company that offers beef, poultry and sugar. Both Green Hill Trading and Number 8 are from the UAE, it said. The stand also features an Arab exhibiting company: The Egyptian Export Center, which produces and exports dates to major international markets such as Japan, South Korea, Singapore, Malaysia, Indonesia, the UAE, Poland, the Netherlands, France, and the UK, also put on display its offerings along with Al-Rwad from Palestine, and Herbs Egypt. “Their top representatives were on hand to discuss their respective products as well as network with exhibitors and visitors in an effort to generate new business and widen their reach. Joining Anufood Brazil reflected the flourishing trade relations between Brazil and Arab countries and their mutual interest to take their cooperation and ties to new heights,” he added. Over 200 exhibitors from different Arab countries, the US, China, Germany, and Italy, to name a few, participated in the event.